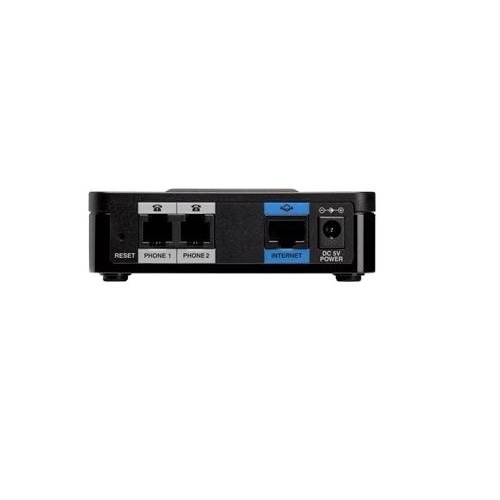 The Cisco SPA112 is an ATA (Analog Telephone Adapter) which includes two standard telephone ports to allow standard/analog phones or fax machines to be used with a VoIP telephone service and across the NBN. Each phone line can be configured independently to one another. With the Cisco SPA112, businesses can protect and extend their investment in their existing analog telephones, conference speakerphones, and fax machines as well as simplify their migration to VoIP or the NBN with an affordable solution. The SPA112 is very small and design and compatible with international voice and data standards. 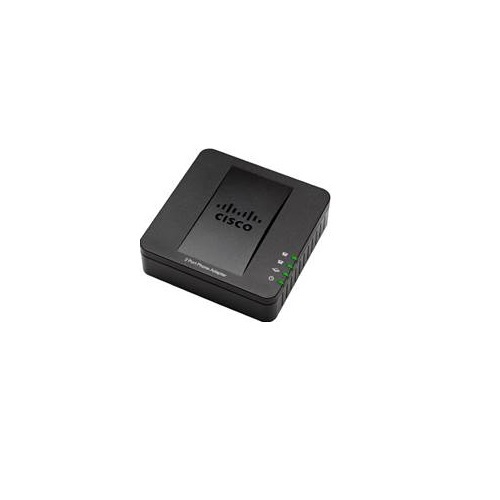 The Cisco SPA112 can be used with business VoIP service offerings and full-featured hosted PBX phone systems. ● Carrier quality voice and feature options: The Cisco SPA112 delivers clear, high-quality voice communication under a variety of network conditions. Excellent voice quality in challenging, changeable IP network environments is made possible through the advanced implementation of standard voice coding algorithms. The Cisco SPA112 is interoperable with common telephony equipment such as fax, voicemail, private branch exchanges (PBXs) and key telephone systems (KTSs), and interactive voice response systems. ● Outstanding security: The Cisco SPA112 supports highly secure, encryption-based methods for communication, provisioning, and servicing. ● Compact build size: Designed for small spaces, the Cisco SPA112 can be installed as a desktop unit or mounted on a wall. ● Comprehensive feature set: The standards-based Cisco SPA112 is compatible with Internet VoIP provider features such as caller ID, call waiting, voicemail, call forwarding, distinctive ring, and much more to provide a complete, affordable, and highly reliable solution for high-quality VoIP. ● Easy installation and changes: The web-based configuration utility enables quick deployment and easy changes. ● Investment protection: Businesses that are growing rapidly can use the solution with other Cisco Unified Communications solutions, providing industry-leading investment protection. ● Peace of mind: Cisco solutions deliver the solid reliability you expect from Cisco. All solution components have been rigorously tested to help ensure easy setup, interoperability, and performance.